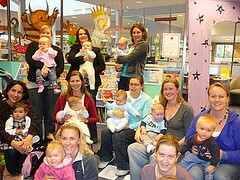 Imagine NSW without Public Libraries! ...You wouldn't read about it. Public library funding has now reached crisis point in NSW. One in two people are public library members and use our libraries 32 million times every year. Our state government provides the lowest per capita funding to public libraries in Australia. Services most at risk are: story times, home delivery, learning English, internet access, study and meeting places, opening hours, new books and branch libraries. The young, old, culturally diverse and disadvantaged have the most to lose. In a democratic society free public libraries are everybody's right. Protest the ever decreasing level of state government funding by joining the Public Libraries Day of Action on Thursday 29 November 2007. We are urging all Sutherland Shire Residents to sign a petition decrying the low level of State Government funding for public libraries. The petition will be available in all branch libraries all this week. State Government funding for public libraries has been reduced during the past 25 years. In 1980 the State Government contributed 23.6 per cent of the total operating costs of public libraries. This contribution dwindled to 7.8 per cent in 2004-05 with a massive cut of $1,023,000 (4.16 per cent) in 2006-07. NSW has the lowest State Government per capita contribution to public libraries of all state and territories in Australia. Since 1980 State Government contribution to public libraries has increased by three times, from $8.5m to $22.4m, while Local Government contributions have increased by a massive 10 times from $27.5m to $265m. Tell us what library services you would hate to lose because we didn't have enough money in the budget to fund them. Leave a comment and let us know what you think. He’s coming to Sutherland Library! 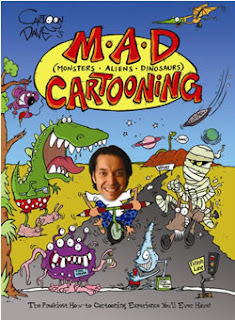 That’s right, Cartoon Dave, is launching his fantastic new cartooning book, M.A.D. Cartooning, at Sutherland Library on Monday 10th December at 4pm. So come along, meet Dave and have some great cartooning fun. Dave will be holding a cartooning workshop for the kids so they can pick up some great tips and tricks to help with their own drawing. Dave’s new book will be on sale on the day for $17 so if you’d like to buy a copy, bring some money with you! The workshop is absolutely FREE but bookings are essential so ring 9710 0178 to reserve your place. 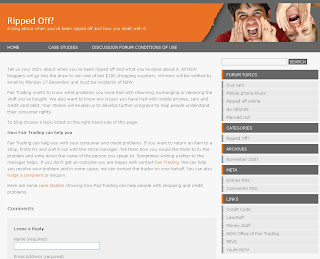 Fair Trading NSW has established a new blog for young people called Ripped Off. It's a place where you get to tell your story about when you’ve been ripped off and what you’ve done about it. Fair Trading wants to know what problems you have had getting a refund or returning faulty goods. They also want to know any issues you have had with mobile phones, cars and credit card debt. Your stories will enable them to develop further programs to help young people understand their consumer rights. All NSW bloggers go into the draw to win one of ten $100 shopping vouchers so start blogging now! Lapsit 2008 - Don't Miss Out! We will be taking bookings for our Lapsit Program for February - June 2008 from Monday 26th November 2007. This 4 week program is held at Engadine Library on Wednesday at 11am and Sutherland Library on Friday at 11am. Just to highlight how lucky we were to have local author Markus Zusak speak at Sutherland Library recently his novel, The Book Thief, has just won another award - the 2007 South African Boeke Prize. This book had a fascinating genesis in the stories of his parents, which Markus kindly shared with an eager audience. If you weren't there on the night you can still hear what Markus had to say. We recorded the talk and it is now available on the web or you can borrow a copy on DVD. If you were there we'd love to hear what you thought of the talk. You may even like to suggest someone for a future author talk. Leave a comment and share your views.